In the past 6 months, Nick and I packed up to move across the ocean twice!! In one of those moves, we lost almost everything we own. We had to leave houses that had come to be homes. We had to say more goodbyes than I care to and now we’re about to say more goodbyes. This isn’t necessarily bad. We moved for great reasons. We got to live in places that we love and spend time with people that we love. Furniture and computers are easily replaceable. It’s just a lot of change. And I never used to deal well with any kind of change, until change became my constant. The past 6 months full of change have given me such a new, fresh, and important perspective on things. I’m so grateful for these changes and for what they have taught me. Change is hard. That’s an obvious understatement. But it’s really hard and I’ve learned that it’s okay to struggle with change. Even though I want to be a strong military spouse. Even though I “signed up for this.” Even though there really are so many more good things than bad things. 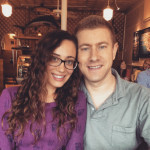 Even though we are strong military spouses or adventurous expats or fearlessly living life. It’s still okay to struggle. Then I realized that the only way to really be okay with any change is to focus on the good that comes with it. 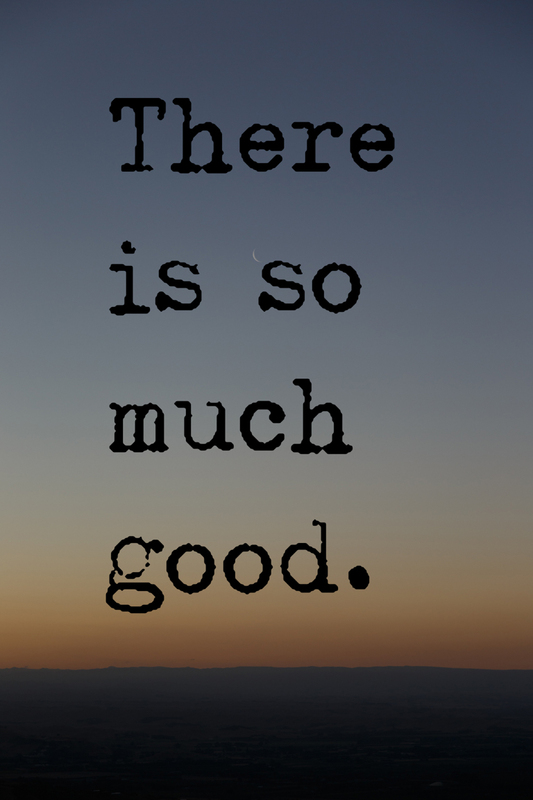 And there is so much good, so much more good than bad that it’s kind of ridiculous. Nick and I spent the past few weeks getting ready for our move. The movers came, we shipped our car, and now we are in transition, visiting family and friends before officially moving to Hawaii. It’s all got me very emotional. It’s very hard, in many different ways. Moving is hard and stressful and emotional, but it’s an adventure and I love it. There’s always a crazy story — like when we showed up at our hotel in Connecticut with 10 bags and found out that there was no elevator so we had to carry them all up the stairs. Just pure insanity and I don’t want it any other way. So let’s focus on the good. Let’s focus on what we love. Nick gets about a month off to move and travel in between jobs. Not many people get a whole month off in the summer. Nick was given time off to help get ready for the move and it was so much fun to be able to take our time to slowly clean out the house and just hang out together. I know that doesn’t sound like fun, but when you’re with the one you love, things like cleaning somehow become fun. When we left Hawaii, Nick didn’t get any time off, so I had to do all of the cleaning and getting ready by myself, and it was exhausting. Having him around made things a lot easier and also a lot more fun. Now he’s on leave so we can see his family in California, see my family in New York, and go to Harry Potter World. This is going to be an epic summer vacation, made possible only because we are moving. 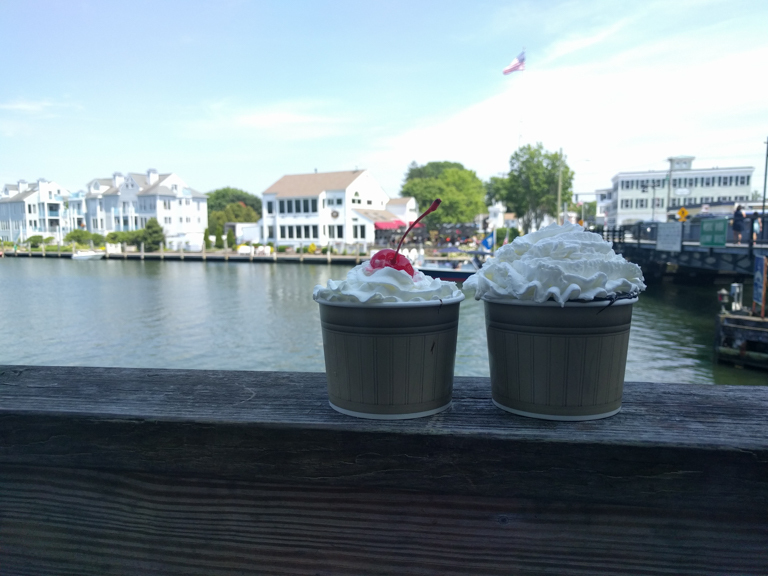 During our last week in Connecticut, we had so much fun going back to visit all of our favorite places one last time. And eating a lot of ice cream from our favorite ice cream shop. When we get to Hawaii, we will get a fresh start. A new home to decorate however we want. Fresh drawers not filled with junk. We got organized. Organization is not the strong point of either Nick or me. 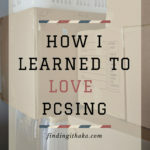 But PCSing requires you to have a lot of paperwork in order, paperwork that we should always have in order anyway. Now we are finally organized and I’m so happy about that. 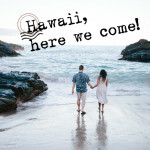 We’re moving to Hawaii! A place I love. A place I know. A place where I already have my favorite coffee shop, grocery store, and restaurants. A place where I already have a library card. A place where friends and family want to come visit. We are together. And through the moves and the changes and the mold problems with our stuff, we’ve learned what really matters. Family, friends, and being together. What else is there in life? I think that if you’re dealing with change or a hard time in your life, it’s so important to process and deal with these feelings. The past few months have been a roller coaster for me and the only way I can deal with it is by acknowledging all my conflicting feelings and sorting through them. And for me, it’s also so important to focus on the good, wherever I can find it. If you can’t seem to find anything good, look for it. No matter how hard it is, look for the good. Find the good in change, in getting a new perspective, in being brave. Find the good in new beginnings or in leaving the house with no dishwasher behind. Find the good in little things like cleaning out your junk drawer or in sunsets or in ice cream or in reading good books. Find the good in the ones you love. Find the things that make you happy and chase them with everything you’ve got. Because there really is so much good, I don’t want you to miss it. This is so sweet. I’m glad your finding some good in all the craziness. That vacation sounds amazingly epic! I’ve been to HP World, but it was before all the new additions. I’m sure it’s going to be amazing! Being able to adapt to change and seek the good is a such a unique and worthwhile skill. Good for you! I have never been to Harry Potter World and I am so excited!! That alone is worth all the craziness 😉 But seriously, even though it’s so hard, I do think it’s worth it to be able to adapt when things don’t go your way. It’s hard but I think you end up being better off for it. 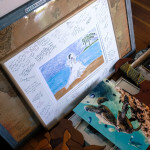 You really do have the best attitude about all the moves and everything else that goes along with being a military spouse, despite everything that happened when you moved back from Hawaii! I’m so glad that y’all have this month off together to enjoy family and friends and some trips as well! 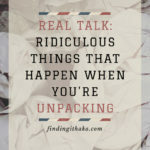 I think that you have every right to get emotional about moving, because even if you’re not in the military, moving is such a stressful time! I hope that you have the best time at Harry Potter World! Thank you so much! And thank you for all of your help and insights into Harry Potter World and Universal Studios! I am so ready now after all of your tips. I’ll admit, I am not the best at change. And like you, I’ve had a lot of it in the last six months. It can be so easy to focus on the negative in the midst of it all, so I need to get better about remembering the bright spots. Sometimes I feel guilty struggling with change because I know that what I am dealing with is really not that bad in the grand scheme of life. But then I remembered that it really is okay to feel sad, confused, excited, nervous — all of the emotions. Change is hard. And that’s okay. But as long as you and find some good to focus on, I think you can get through it. Love this and I really needed it today! Adjusting to Military life has been a bit trying at times, and I know it’s only going to get more intense as we really transition into the life. I’m definitely trying to look to all the positives as well! I totally understand how you are feeling. Even though Nick has been in the military as long as I’ve known him, I know that the phase we are about to enter is going to be the hardest one yet. I’m not really ready for these changes at all but I know that staying positive and finding the good will make a world of difference. Good luck on transitioning and your move — you will rock it. And when it gets hard I know that you will get through it even stronger!